Professor Mazin Qumsiyeh; scientist, author, and Director of the Palestine Institute of Biodiversity and Sustainability and the Palestine Museum of Natural History at Bethlehem University , is holding a public lecture series this summer in Washington, DC; Connecticut; Massachusetts; Maine; and New York. Lecture topics will include the "Importance of Human and Biological Diversity: Threats and Opportunities in Palestine as a Case Study," and "Mayhem Versus Sanity in Western Asia: Why Palestine is Still the Issue." Please click here to view his full itinerary and upcoming events . Professor Mazin Qumsiyeh teaches and does research at Bethlehem and Birzeit Universities. He is the Director of the Clinical Cytogenetics Laboratory at Bethlehem University and Director of the Palestine Museum of Natural History and Institute for Biodiversity Research at Bethlehem University. He previously served on the faculties of the University of Tennessee, Duke, and Yale Universities. He has published over 130 scientific papers on topics ranging from biodiversity to cancer. He was chairman of the Palestinian Center for Rapprochement Between People and currently serves on the board of Al-Rowwad Children's Theater Center in Aida Refugee Camp. He has published hundreds of refereed articles and several books including "Mammals of the Holy Land", "Sharing the Land of Canaan: Human Rights and the Israeli/Palestinian Struggle" (English, Spanish, and German) and "Popular Resistance in Palestine: A History of Hope and Empowerment" (Arabic, English, French, forthcoming in Italian). His main interest is media activism and public education. He has given hundreds of talks around the world and published over 250 letters to the editor, 100 op-ed pieces, and has been interviewed on TV and radio extensively (local, national and international). 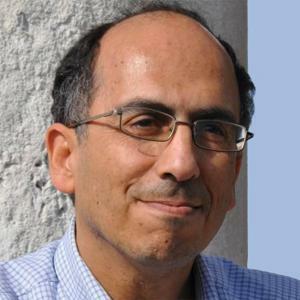 For more information on Professor Mazin Qumsiyeh, click here . Jointly founded by the Vatican and the De La Salle Christian Brothers, Bethlehem University annually enrolls more than 3,200 students in bachelor, master, and professional diploma programs. A Catholic co-educational institution, the University is the only Catholic/Christian university in the Holy Land. The University's mission is to provide quality higher education to the people of the Holy Land and to serve them in its role as a center for the advancement, sharing, and use of knowledge. The Bethlehem University Foundation is the U.S. registered not-for-profit organization entrusted with the sole mission of supporting and promoting Bethlehem University. The Foundation is a means for United States citizens to make a tax deductible donation in support of Bethlehem University. or like the Foundation's Facebook page " Bethlehem University Foundation "